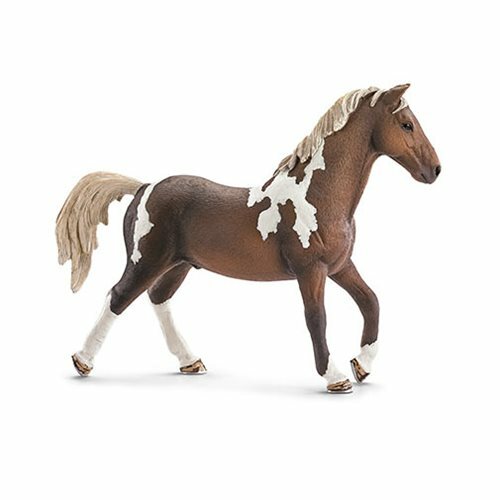 This beautifully realistic Horse Club Trakehner Stallion Collectible Figure would make an excellent addition to your collection or toy box. It measures approximately 6-inches long x 4 1/3-inches tall. Pair him with the Horse Club Trakehner Mare Collectible Figure (sold separately) for an even more impressive display! Trakehner are pure-bred warmblood horses. For many horse fans, these elegant animals are the ideal modern riding horse. Trakehner are especially suited as sport horses, and they are just as talented at dressage as at jumping. They reach a height of 63-inches to 67-inches at the withers and have many colors.